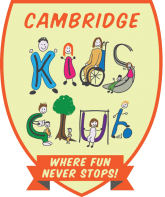 CKC is Cambridge’s leading wrap around childcare provider and as such, we receive lots of interest in our play-worker roles from a wide range of candidates, from those who want to develop a career in playwork to those who simply want to gain experience working with children. We offer a unique opportunity to develop your skills and experience in a FUN and engaging environment. The play-worker roles are ideally suited for individuals who are looking for part-time work (up to 25 hours in term-time), as our setting operates from 7:30 am to 9 am in the mornings and 3 pm to 6 pm in the afternoons. During the school holidays, we can offer up to 40 hours of work in the holiday play-schemes (operational). Therefore you need to be based in or around Cambridge, with easy access to one of our settings. The post codes for our settings are in: CB1, CB2, CB4, CB23 and CB24.